The Lady and the Falconer by Laurel O’Donnell is now in the top 200 list of best selling historical romance novels on Kobo! Thanks to all of our great readers and Laurel’s fans! 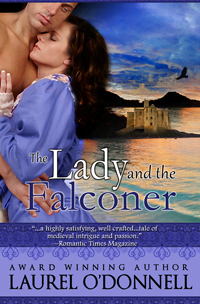 The Lady and the Falconer is a medieval romance filled with suspense, intrigue, a castle under attack — and of course a great love story!